When you create – and follow – a marketing plan, you have a better chance of getting customers to your digital doorstep. Here are few steps to take to put that plan in motion. It’s not enough to have goals for marketing your website. They need to be SMART goals. And by that, we don’t simply mean “intelligent.” It’s an acronym for Specific, Measurable, Attainable, Relevant and Time-bound. Specific – What do we want to accomplish? Why are we doing it? Who do we need to make it happen? When will it happen? Measurable – For example: We want to increase web traffic by 15 percent. Attainable – Pick a goal you know you can hit. Relevant – Does this goal fit with your company’s larger vision? Time-bound – Set a deadline for yourself: We want to increase traffic to our site within this year. Be sure to share these goals with your team, so everyone has the same target in sight. And having more than one set of eyes on your plan will help you recognize if you’re going too far, or not reaching far enough. What keywords do you need to include in your website content for optimal SEO value? What is your audience sharing on social media? What kind of questions are they asking? Content is a pretty broad term. 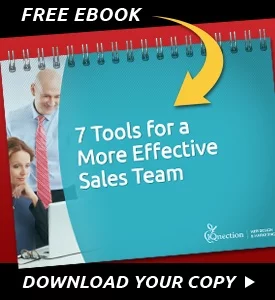 It can apply to a blog post, white papers, infographics, videos, podcasts, webinars, slideshows and more. You have a lot of opportunities to share it on your website, whether that means updating your blog or letting people download an ebook. Part of your website marketing plan is determining who will create your content. 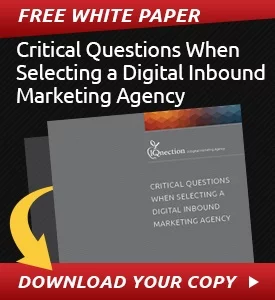 It could be someone in-house, or you may need to hire an inbound marketing agency. Whoever you choose should have access to your research, so they understand the audience and are able to get your message out. So you’ve created – or had someone create – content that tells your audience what makes you unique and how you can help them. Now it’s time to get it to the right hands (or eyes, to be more accurate). At the very least, you should share each piece of content you create on various social media platforms – Facebook, Twitter, LinkedIn, Google+ -- but don’t forget about sites like Instagram for photos and YouTube for your videos. If all this sounds daunting, don’t worry: IQnection can help. Our inbound marketing experts can work with your company to help figure out your goals, conduct market research, create content and come up with ways to distribute it. Contact us today and we can get started on getting customers to your digital doorstep. Next Next post: What is Link Building and How Does It Help Customers Find You?